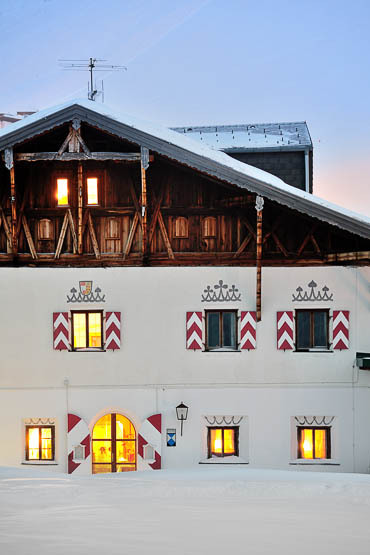 Check into the enigmatic and historic 800 year old Jagdschloss Hotel of Count Stolberg-Stolberg and discover Kühtai, a tranquil skiing village high in the mountains of Austrian Tyrol. 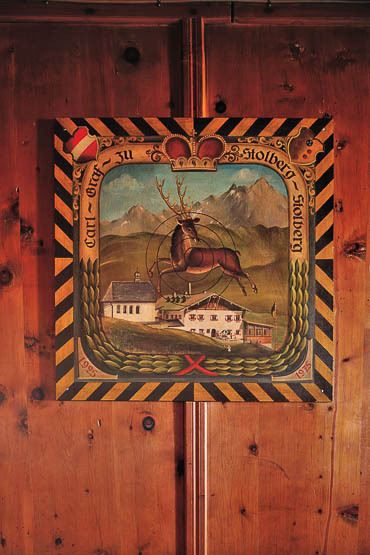 When Franz Joseph I, the former Austrian Emperor and husband of the captivating empress Sisi, came here to hunt deer and chamois, he had no idea that his beloved Kühtai would one day be one of the most charming ski resorts in the Alps. Nevertheless, until now Kühtai has remained a closely guarded secret. There are no busloads of tourists, only weekend and day skiers and a sprinkling of sports lovers from Innsbruck, just half an hour away. 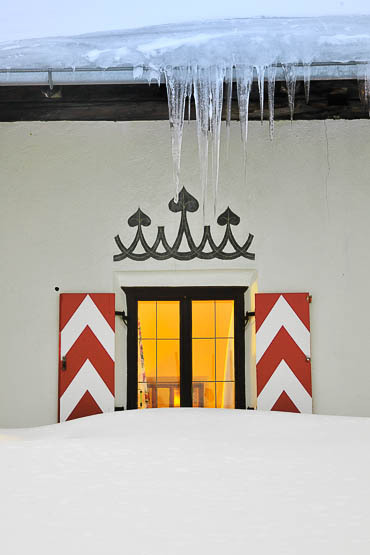 Throughout the day, the Jagdschloss terrace and lounge see a steady trickle of skiers coming and going from the pistes. 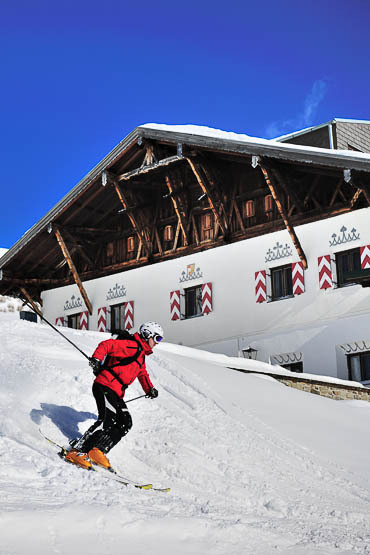 Less sporty types are just as welcome: “We’re not a classic ski hotel, where the emphasis is on spending as much time as possible on the slopes followed by noisy après-ski parties,” insists the Count as he regally indicates the numerous pistes surrounding the Jagdschloss. “Besides winter sports, my guests come here to rest, to read a good book beside the fire, to meet people, and to enjoy the sunshine and the silence.” Early the next morning a small snowplough clears a path to the hotel after a particularly snowy and bitterly cold night. The driver turns out to be the 65 year-old count himself. 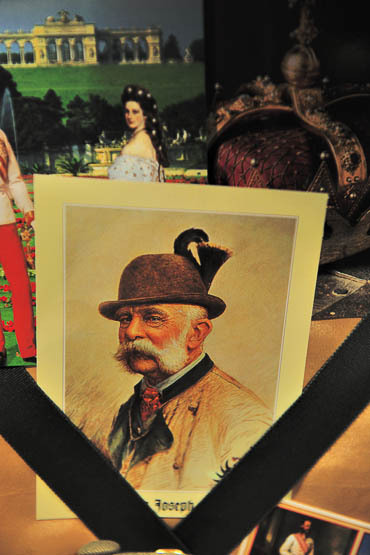 The only indication that Count Christian is one of the last descendants of Emperor Franz Joseph I is his traditional green Tyrolean costume. 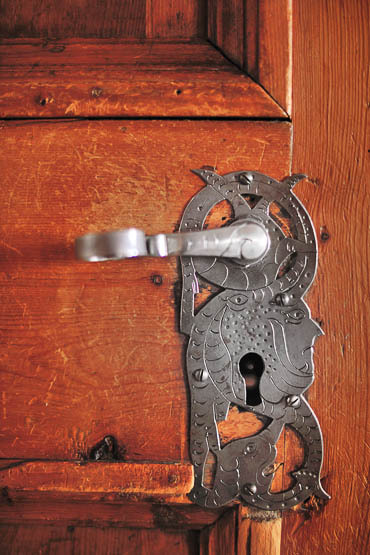 For the rest, he is the upright keeper of his ancient castle and a perfect host to his loyal guests. And yet he’s only been running the place for ten years. 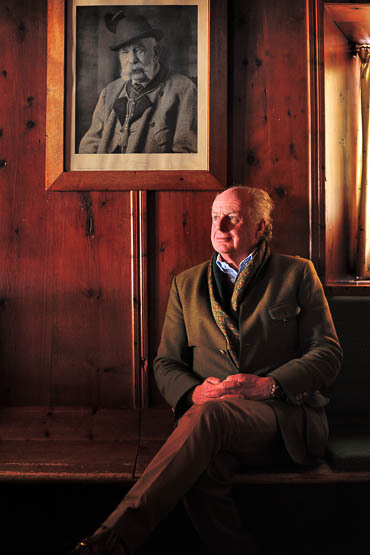 It was his father who converted the royal residence into a lodge in the 1950s. He inherited the thirty-acre domain at birth from his mother, the granddaughter of Franz Joseph I and Elisabeth of Bavaria, aka empress Sisi. A portrait of the world famous Sisi hangs here, but in fact she never visited the hunting lodge belonging to her husband. 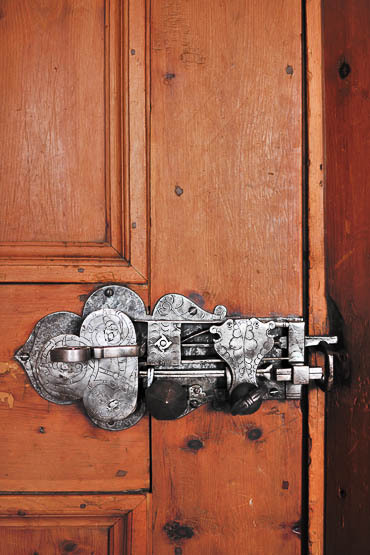 The long and aristocratic history of the house is tangible: the creaking floorboards, a roof that appears alive, the red and white striped Habsburg shutters and downstairs the wonderful Fürstenstube (Prince’s lounge), the heart of the house, where most people have to stoop to enter the low doorway. 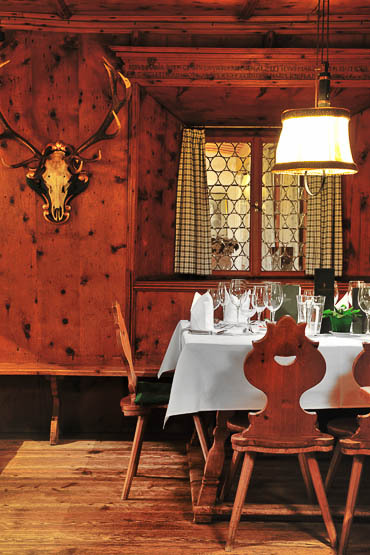 After a morning of skiing, guests gather here at noon for steaming bowls of hearty goulash or potato soup, traditional dishes such as Tafelspitz or the cloyingly sweet Kaiserschmarren. For those who love winter wonderlands, the nights here are magical. The snow lies in deep drifts on the hotel’s roof and crackles from the cold, while inside a huge fire burns brightly in the hearth. 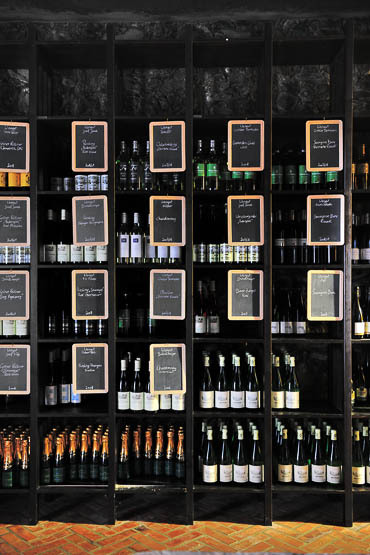 Couples drink prosecco or glasses of good wine, thanks to the Count’s huge wine cellar. Friends chat in the lounge and every evening, a five-course dinner of superlative quality is served. Staying guests who prefer to choose familiar dishes like cheese fondue can order in advance. The Prince’s lounge is the most agreeable place to eat, but when it’s busy the hotel’s new wing is also used as a restaurant. A tip for those who dine and sleep here: always ask for a table in the old wing, which is loaded with charm and character. Count Christian usually dines among his guests, at his own table beneath a painting of his grandfather. 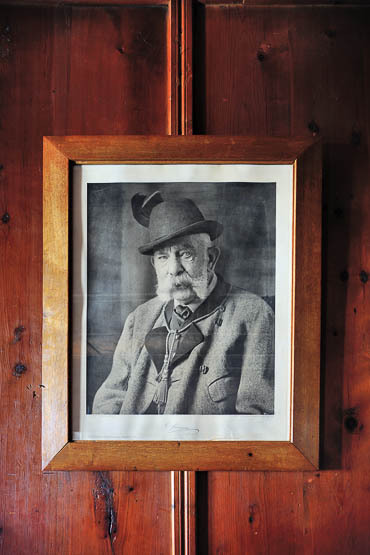 The hotel is chock-full of beautiful antiques, engraved brass dishes (the hunting trophies of bygone eras), yellowing family trees and ancestral portraits. 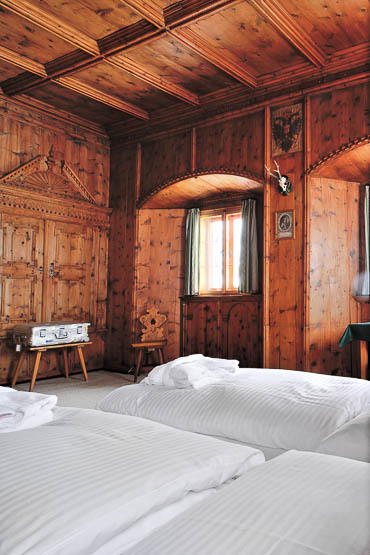 Guests who love nostalgia are advised to choose the historic Fürsten (Prince) bedrooms in the old building, where in earlier times the most eminent guests stayed when visiting the hunting lodge. The rooms are a little on the simple side with small, modest bathrooms and mini-flat screen TVs but they are loaded with a warmth and charm that new hotels can only dream to match. 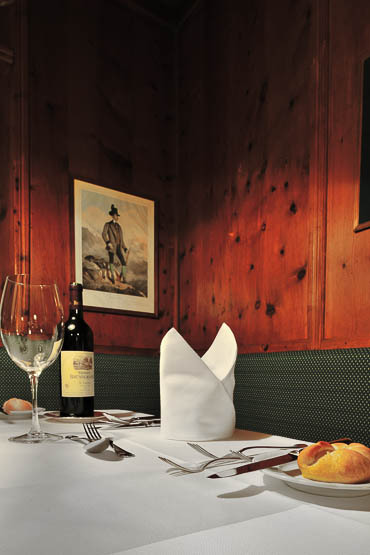 Besides indulging yourself at the Jagdschloss, you can also go up the mountain. 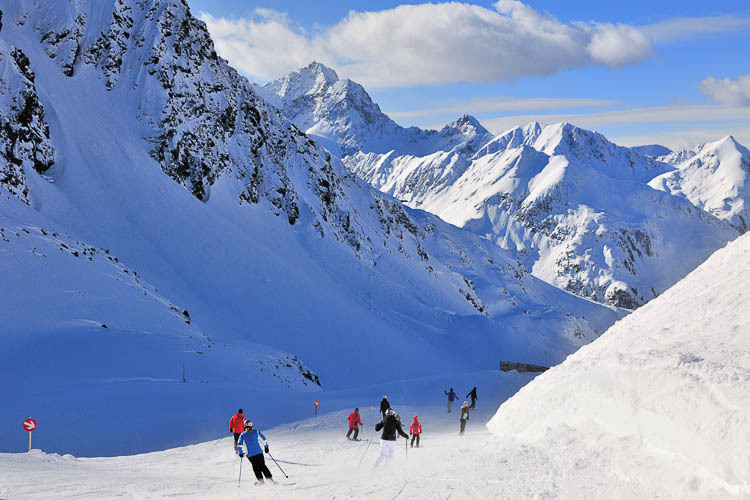 With 40 km of pistes and an altitude of just over 2000 meters, Kühtai is a snow-guaranteed winter sports destination from December to early May. Even its official website is called Schneegarantie.at. 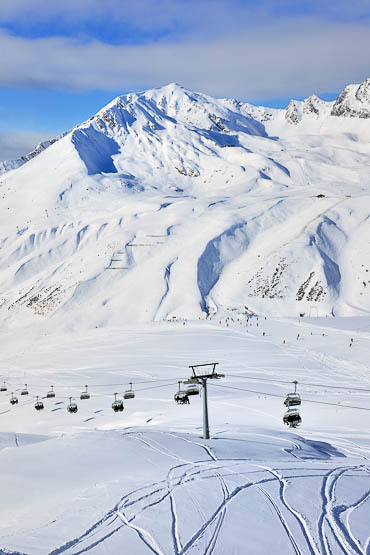 The ski lifts climb to around 2500 metres and there are pistes from baby blue to devil black. 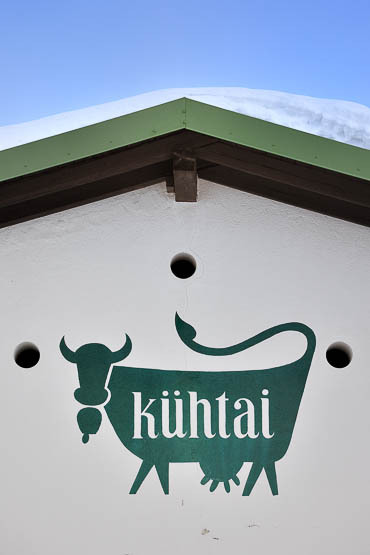 Conveniently, all the accommodation is ski-in/ski-out because Kühtai is literally surrounded by pistes. The village centre is one large snowy street where you’ll find all the hotels, restaurants and shops. 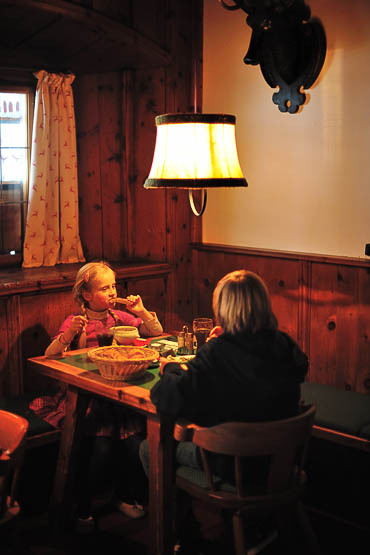 Perfect for families, less suitable for revellers who enjoy the traditional Tyrolean après-ski. Very popular is night-time skiing on Saturday and Wednesday when the Hoch Alter lift stays open from 7.30 pm to 11pm. 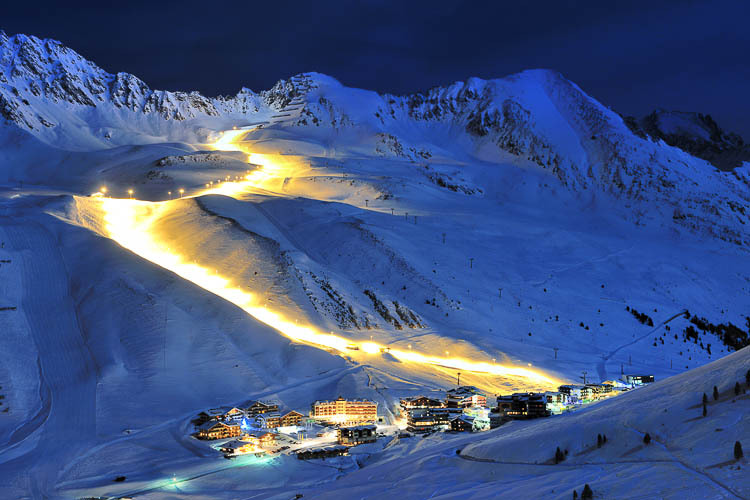 The well-lit ski piste wends its way high above the village before slithering down again like a snake. 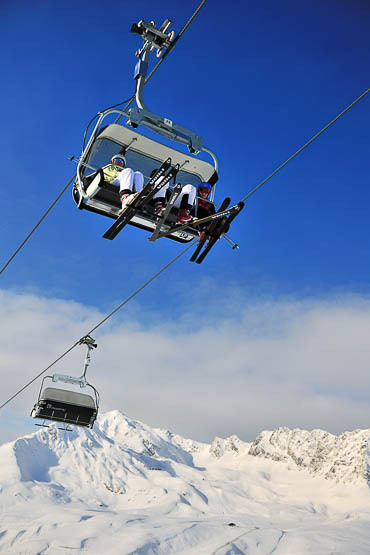 From this season, there is also a free bus connection between Kühtai and the resort of Hochoetz. 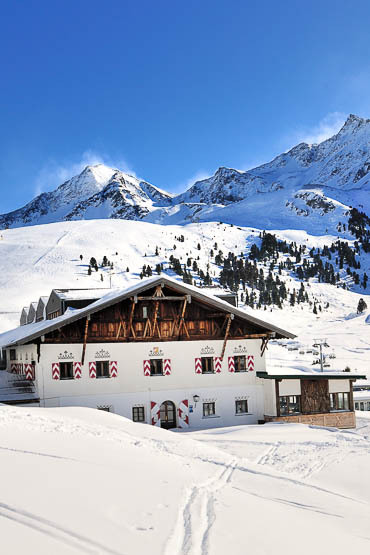 Kühtai is also great for families because it has three ski schools that teach even the youngest ski folk. There’s also K Park, a fun park for snowboarders with rails, jumps and kickers for all levels. But Kühtai’s trump card is undoubtedly the fact that there are only 1600 hotel beds here and the equivalent lift capacity. In other words, you’re only likely to queue for lifts during the school holidays or at weekends. Outside these times, it’s peaceful and you often have pistes almost to yourself. 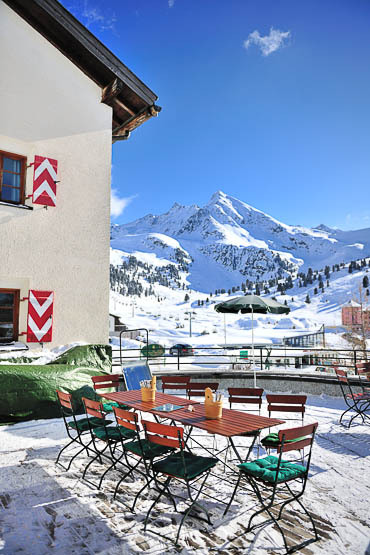 Those in serious need of après-ski can head for the Dorfstadl Hotel, which offers an enormous sun terrace by day and an inviting restaurant and bar by night. 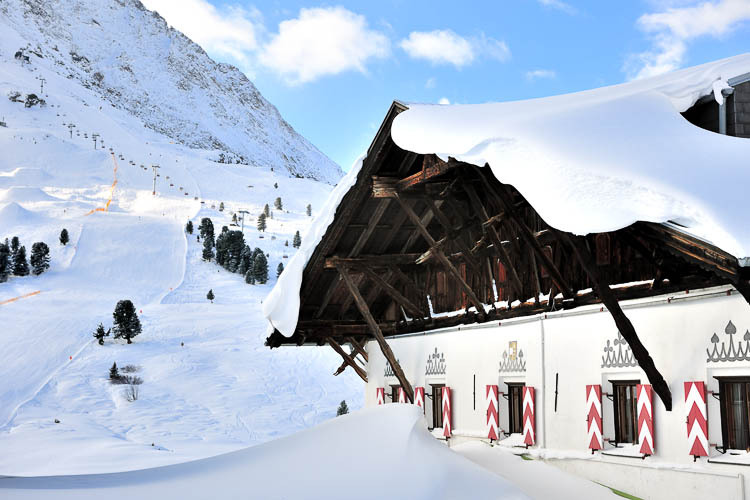 It’s also nice to hang out in the Zum Kaiser Maximilian mountain hut (either walk or grab a jeep taxi) and enjoy the spectacular view over Kühtai, especially when the piste is lit up at night and you’re whizzing back down along a car-free track on a horse-drawn sled. Back on the terrace of the Jagdschloss, a Dutch woman is out enjoying the sun, her only companion a huge dog, keeping lookout over the valley. The rest of the family is skiing. “I’ve been coming to this area all my life. Even my grandmother came to the Kühtai valley by horse and cart. At that time, they climbed the mountain wearing special shoes made from animal skins and talking was forbidden because of the danger of avalanche.” She laughs. 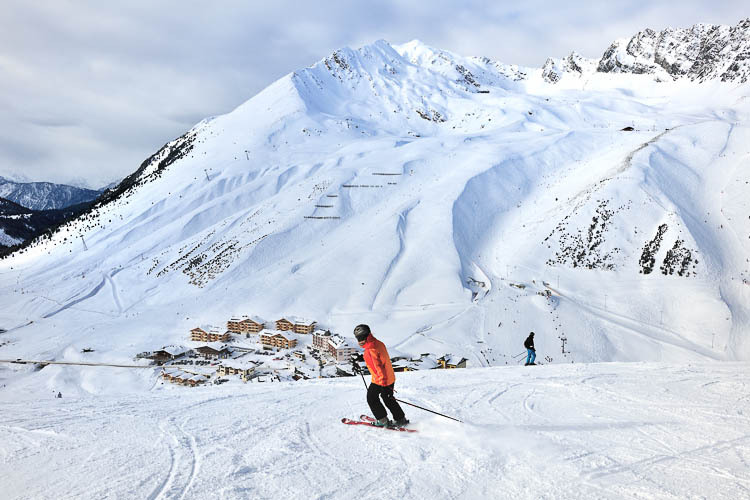 THE VERDICT Kuhtai is a perfect ski station if you want to be an early bird and hit the slopes already in November and stay on them until late April. It’s a compact and friendly village with as highlight the Schlosshotel for those preferring cosiness and atmosphere over design and hipness. THE COST A historical room in half board at the Jagdschloss starts around 155 euro per day, per person. 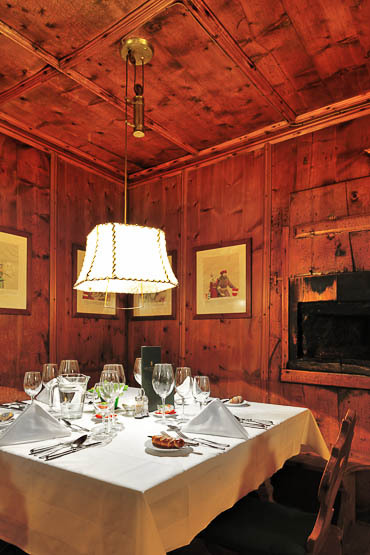 A rather basic breakfast and a lovely five-course dinner are included. HOW TO GO The hotel can arrange transport from and to the airport of Innsbruck, which is only a 45 minutes drive away. If you want to self-drive, then Sunny Cars offers the best prices with an all-inclusive formula, starting at 30 euro a day. ON THE SLOPES Skiing in Kühtai and in the two ski-areas around the village will set you back around 87 euro for three days in high season and 65 euro in low season.